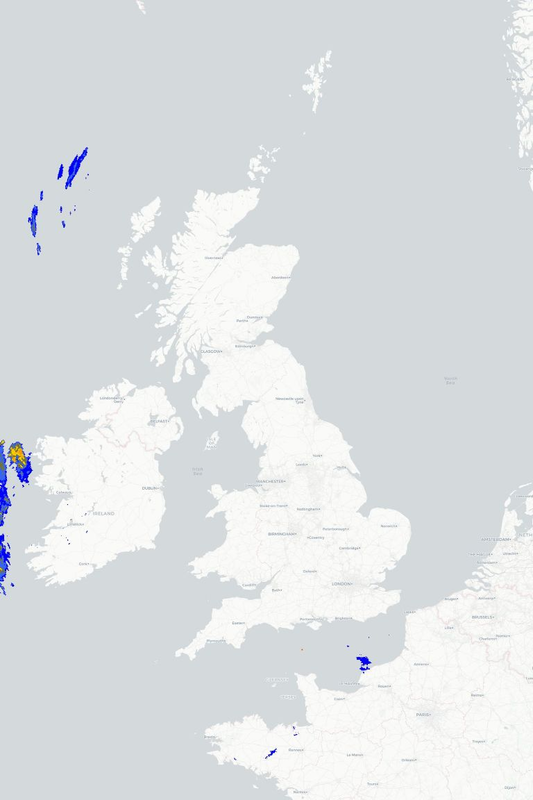 Metcheck.com - Storm Forecast Discussions - Weekly Storm Forecast - From 22 April 2019 - Expert Meteorologists Analyse Storm and Convective Forecasts For Countries Around The World. 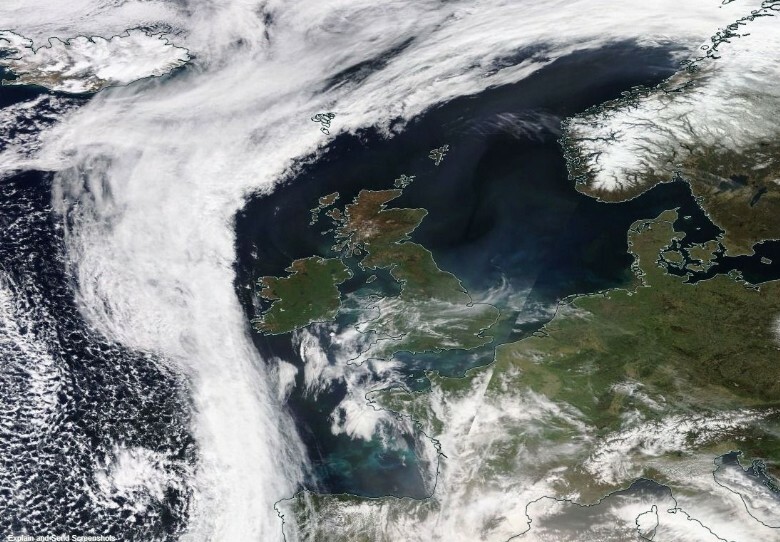 Low pressure to the West of the UK and a plume of unstable air will bring a risk of scattered thunderstorms across Western areas of the UK and Ireland through Tuesday afternoon. The main forcing always stays just to the Northwest of the low pressure area with thermal instability at low and mid levels. 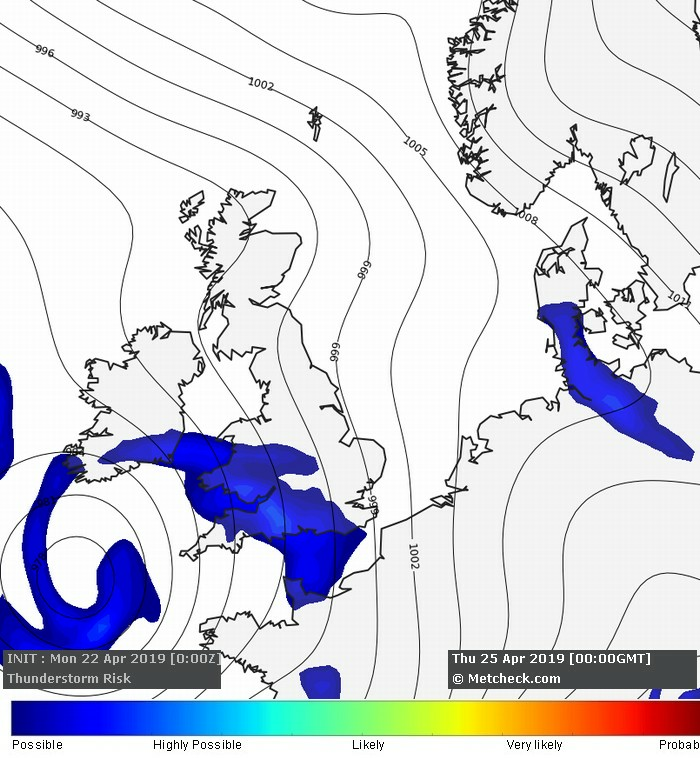 Buoyancy and vertical uplift across parts of Wales and Western England on Tuesday afternoon could bring marginal size hail too. 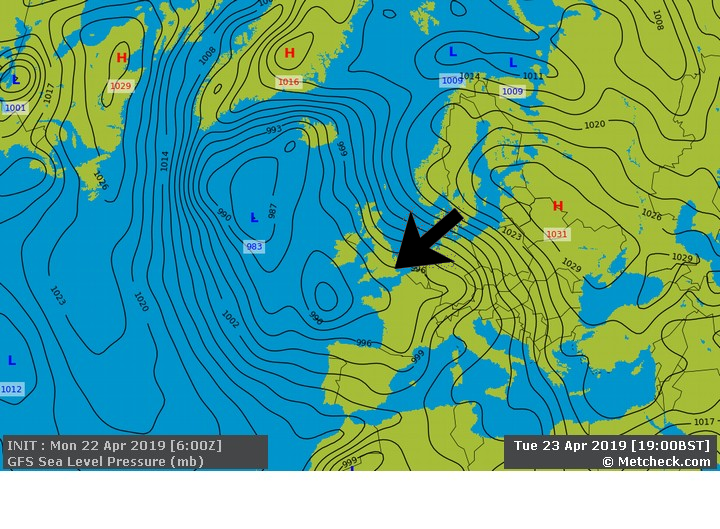 During the second half of the week we will continue to see low pressure to the Southwest with further short wave troughs running in from the Southwest with well organised bands of showers approaching. 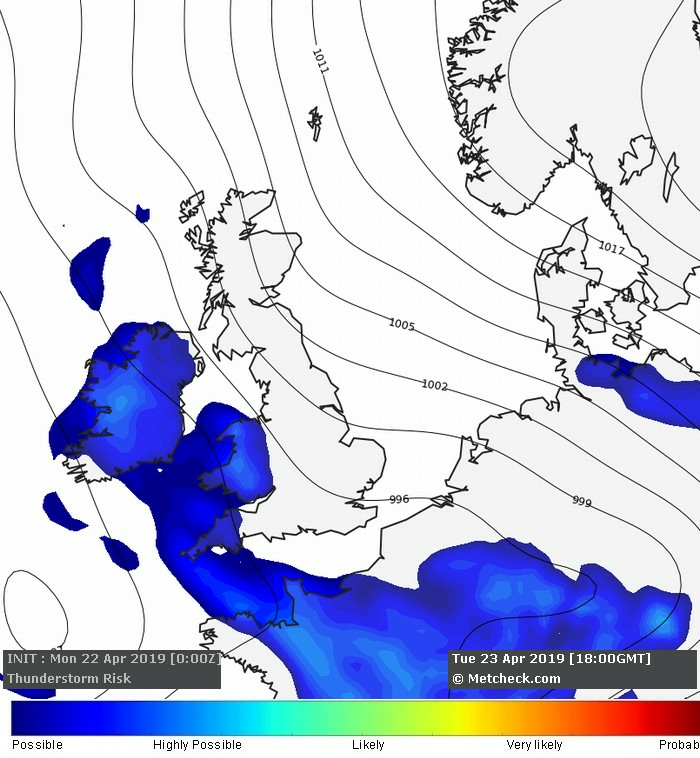 These troughs will produce gusty winds around the edges with the risk of lightning and hail, more so where squall lines develop.